After a long and arduous trek to Goecha La, we were relaxing in Yuksom and what better way than to dig into local fare. The 2 horned black yak often came in the way during our long treks into the mountains, carrying essentials for us !! and little did I think then that the cheese produced from yak milk will be a tongue teaser to remember. 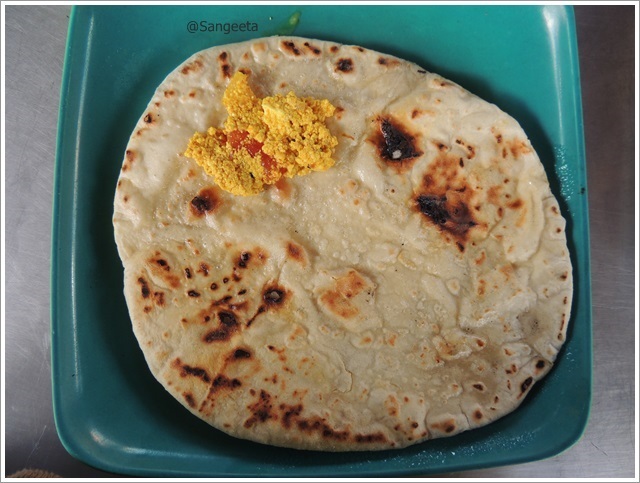 We headed out to Gupta’s Cafe in Yuksom, and like the rest of the group I tried playing it safe with Aloo Parathas though I love experimenting with food. 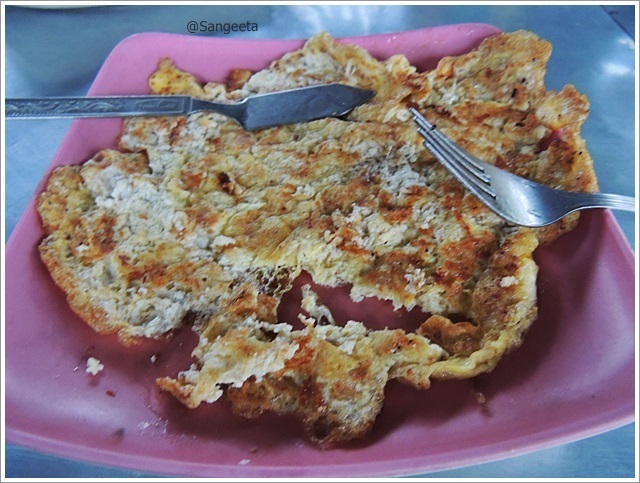 After initial hesitation, I also ordered Tibetan Bread (Balep) served with Yak Cheese. 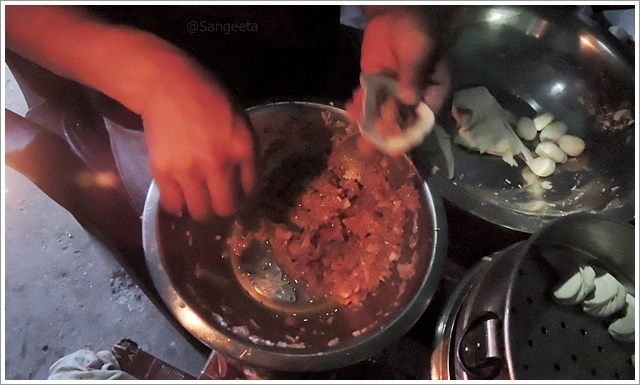 We burped our way to hotel only to find Ganesh (Limboo Restaurant) intently making that perfect chicken momo. 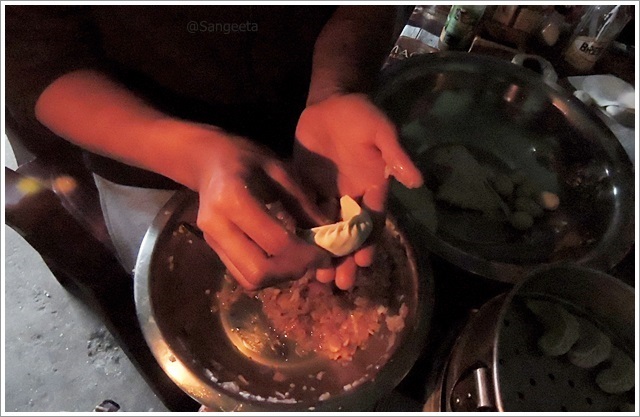 It was pretty dark, raining and cold, yet his deft hands dished out one momo after another of perfect shape and size with the right filling. That smile on his lips ever so wide just assured me that it would taste not just fine, but super fine. That evening, we sat around under the gazebo, toasting the trek with Tongba (Tumba) which though hot is very beer like. 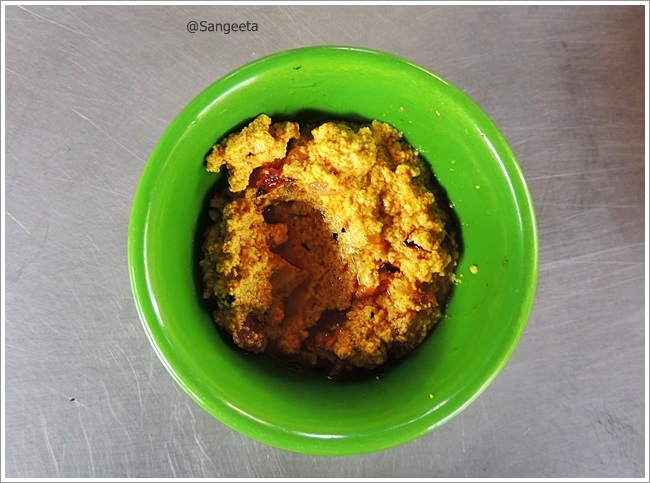 The chicken momos and the special chilly chicken tasted heavenly with the Tongba (local fermented millet drink); and the chilly chicken was polished off even before I could get myself to click. Chilly Chicken and Chicken Momo are not new to me, I have it ever so often; but there was something about the taste that evening; with Ganesh’s love for cooking and oodles of patience generously reflecting in the taste, the affection of the land and the occasional showers that made it all so special. I identify with you because I too am at work most days of the week and found my passion in food. I loved the title of your web page and also your description about the food from Sikkim. 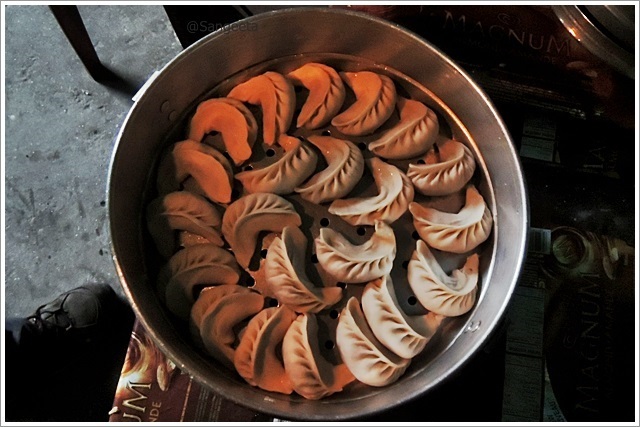 The pictures really help and I can’t wait to try all the delicious things Sikkim has to offer.